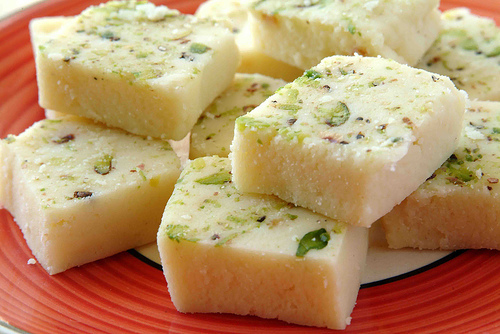 South Asian confectionaries, known as mithai ("sweet"), are as crucial to the Indian diet as are dal and rice! From burfis to ladoos, many of these sweets are made with milk and sugar, and then fried, baked, or simmered to perfection! Served at weddings, dinners, and any type of get-together, mithai is a traditional and excellent way to show loved ones just how much they are cared for. With a wide selection of tasty treats, it's easy to find yourself in a delicious dilemma when deciding on which mithai to serve! Here is a simple and straightforward guide from us to you - to help you maximize the sweetness in life! 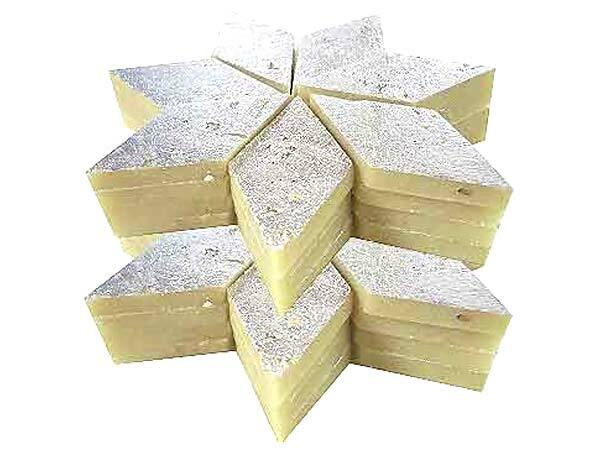 Burfi - A common and versatile milk-based sweet, burfi is eaten year-round - especially at Diwali. It is made with condensed milk and sugar, but can be flavored with fruit (such as coconut), nuts (such as pista or cashews), or different types of flour (such as besan/gram). Chikki - a groundnut brittle made with jaggery and served at room temperature. This sweet can be varied depending on its main ingredient such as peanuts, rice, or gram flour (besan). 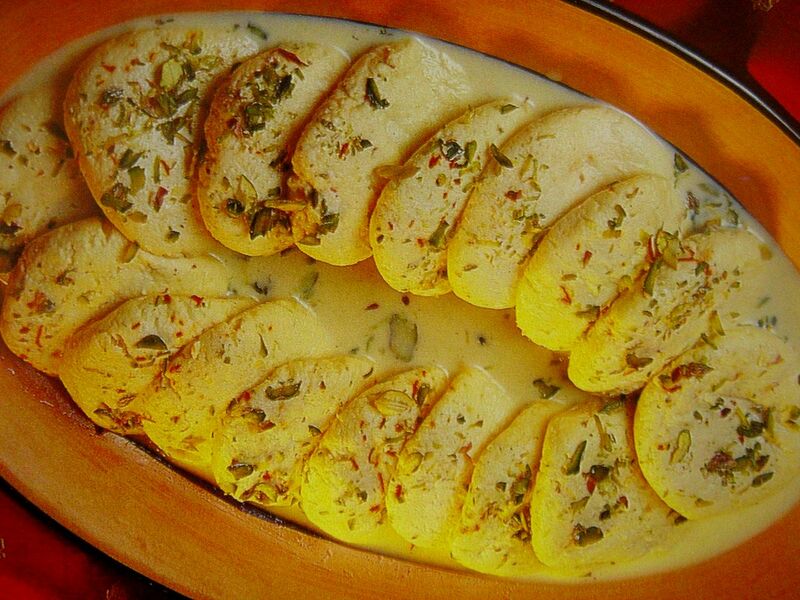 Chum Chum - a round, Bengali sweet made with paneer and flavored with pistachios, coconuts or cream. 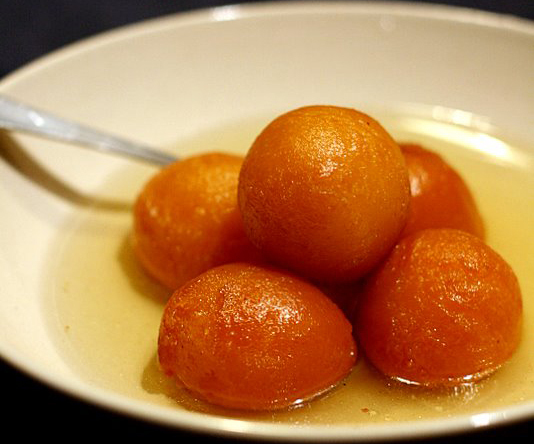 Gulab Jamun - a deep-fried dessert made with sweetened milk and flour and sugar syrup. A dough mixture is rolled into balls, then fried and added to a sweet syrup flavored with rosewater, saffron, and cardamom. 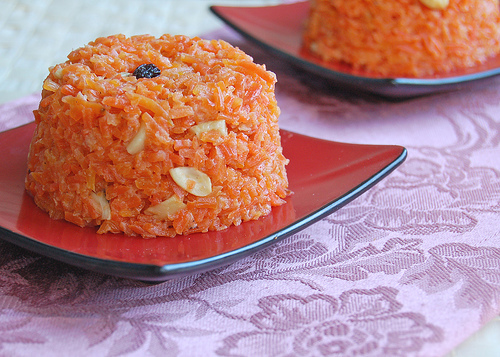 Halwa - a flour or butter-based mixture of sugar, milk, and varieties such as carrot (gajar halwa) or almond (badam halwa). It is made by simmering the ingredients on low heat until they begin to stick together. Jalebi - a deep-fried wheat flour mixture shaped into long curls and sweetened with sugar syrup. This popular dish can be served cold or warm - and is even eaten with breakfast in some Gujarati households! Karanji - a Maharastrian flour "dumpling" of sorts, filled with sugar and coconut, and deep fried. It is commonly eaten during Diwali. Kulfi - a frozen, cream-based dessert that is often flavored with rose, pistachios, or cardamom. It is used in dishes such as falooda as well! 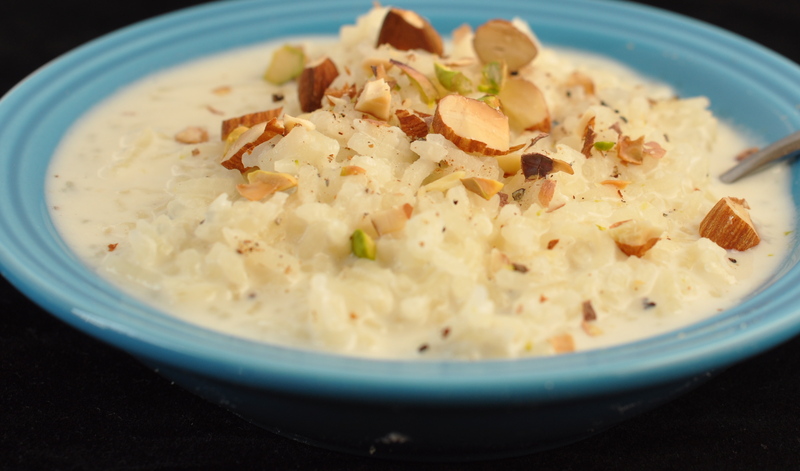 Kheer - also known as payasam in South India, is a rice-pudding made with milk, jaggery, ghee, and flavored with fruit or nuts. It is often served at weddings and other big Indian celebrations. Ladoo - a versatile, ball-shaped sweet made by mixing flour, butter, and sugar. It can be made with different types of flour, giving it different names such as besan ladoo or boondi ladoo. 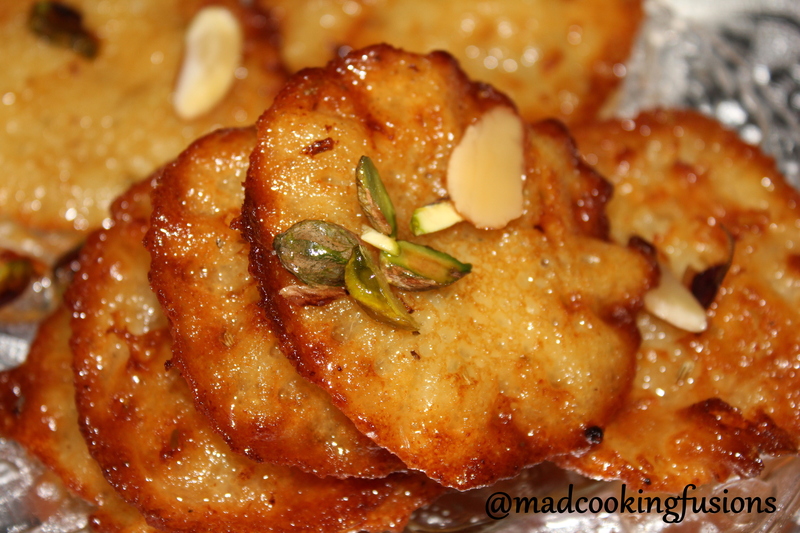 Malapua - a crispy, Bengali pancake-type sweet, made by flattening a flour, water, milk, and sugar mixture and then frying it in oil. It is often seasoned with cardamom and dipped in sugar syrup. Modak - a sweet, rice flour dumpling stuffed with coconut and jaggery. It is often eaten during the Maharastrian celebration of Ganpati - since it was the god's favorite food! Pathishapta - a type of Bengali crepe made with both maida (corn flour) and rice flour, and filled with a coconut and jaggery mixture. Peda - a celebratory sweet often served during weddings, or after the birth of a child. It is a small, round, semi-solid sweet made by rolling a ricotta cheese with sugar, cardamom, and saffron. Puranpoli - a sweet, stuffed flatbread (paratha, of sorts) filled with coconut, jaggery, and cardamom. It is commonly eaten in the Indian states of Maharashtra and Gujarat - served with kudi or ghee. 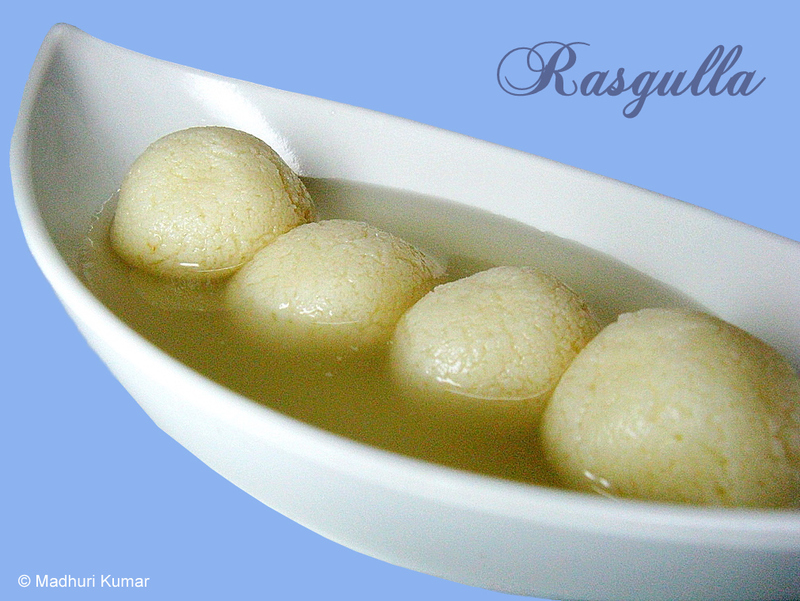 Rasgulla - a dish made of delicate cheese and dough balls, deep fried and soaked in light, sugar syrup. The dish originated in Odisha, but is now commonly eaten across India. Rasmalai - a creamy, ricotta-cheese based dish made of sugary balls soaked in malai (cream) and flavored with cardamom and pistachios. Shankarpara - small, sugar-coated flour pieces which are deep fried and served as crunchy snacks. Spicy shankarpara are also a tasty Indian snack! Shrikhand - a popular Mahastrian and Gujarati dish made of strained yogurt, sugar, and spices such as cardamom and saffron. It can be flavored with fruits and nuts such as pistachios as well. Shrikhand is commonly eaten with fluffy puris.